India – Ever since Virat Kohli‘s arrival in gentlemen’s game, the debate for the most complete batsman in world cricket has spread like the jungle-fire among cricket fans and critics all around the world. Ever since Virat Kohli‘s arrival in gentlemen’s game, the debate for the most complete batsman in world cricket has spread like the jungle-fire among cricket fans and critics all around the world. In a cricket-frenzy country, where players were treated as nothing less than demigods, the debate around Kohli vs Sachin Tendulkar remains the best pastime for the 1.3 billion people. 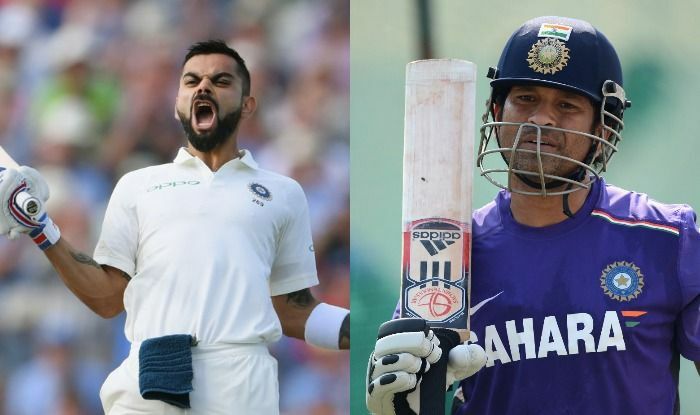 Despite Kohli not liking the fact that he is being compared to his idol Tendulkar, this has not stopped cricket pundits, experts and fans from indulging in the never-ending debate about these two stalwarts of the game. After all the fanfare and hoopla, Sri Lankan skipper Mahela Jayawardene has now compared Kohli, Sachin and Dhoni while stating who is the best cricketer between the trio. The Indian cricket team led by Virat Kohli will be back in action when they host Australia for two T20Is and five ODIs from February 24 onwards.